Paul Brown Stadium opened in August 2000 for the 2000-01 NFL football season. The stadium has 66,846 seats on six different levels, including luxury and party suites. Paul Brown Stadium is also used for other events throughout the year, including high school and college football games, concerts, and soccer games. Tours of Paul Brown Stadium are available from April through Mid July. Are you looking for a summer activity for your group or get-together? Get a peek behind the scenes at the stadium as you tour the press box, suites, locker room, and game field. Tour prices are $11 for adults and $9 for children (18 and under) and seniors (60 and older). To get more information and schedule a tour, contact Robyn Mullen, (513-455-4805). 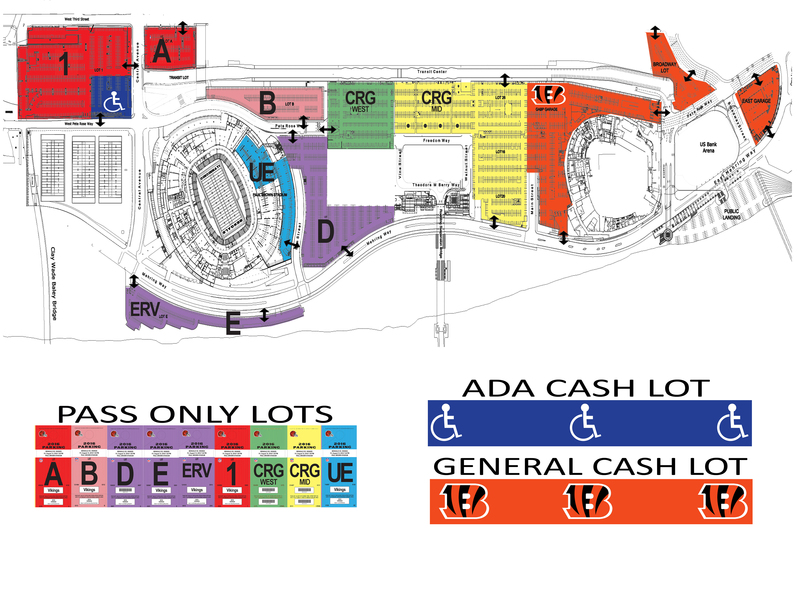 For additional information about Paul Brown Stadium, contact Joe Feldkamp, County Director of Stadia and Parking Operations, or Stormi Stevens, Operations Coordinator.